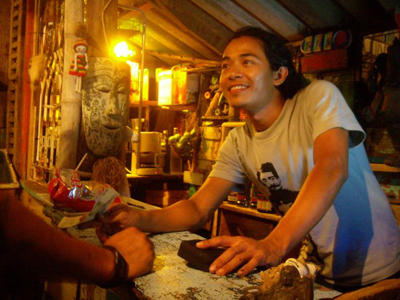 A massive thank you to good friend (and very talented illustrator) Sophie Crichton for introducing me to Pui Ngowsiri. 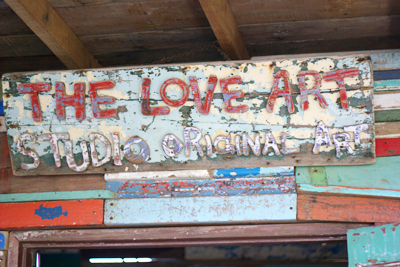 Sophie is currently living in Phuket, Thailand and recently came across the fantastic Love Art Studio in Phuket Art Village, Rawai. 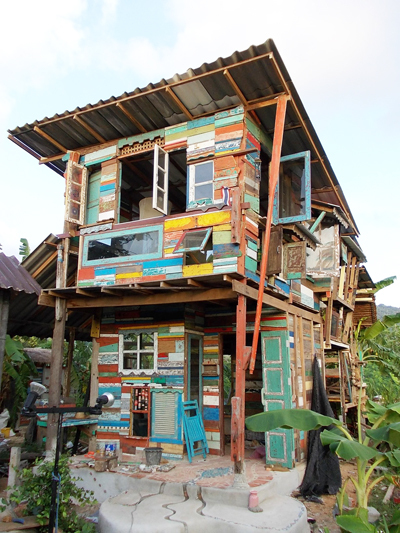 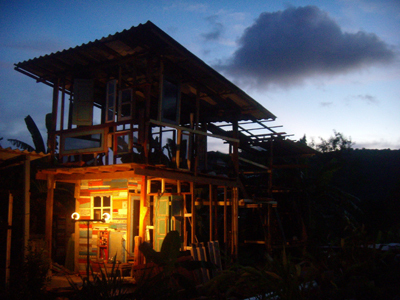 This is home and studio to artist Pui who built the structure from pieces of driftwood collected from beaches around Phuket during the rainy season. 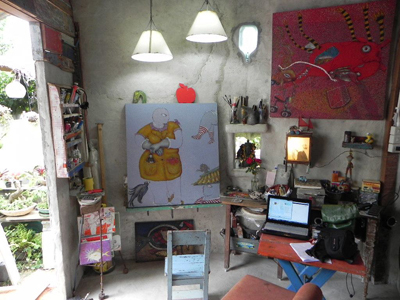 Here he spends most of his time painting and making sculptures. 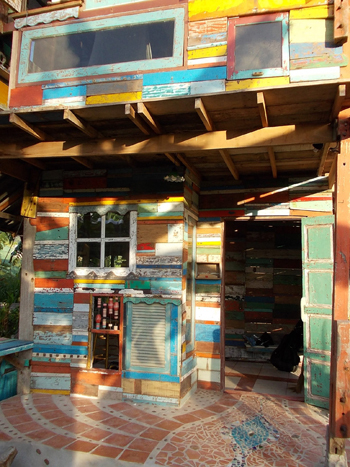 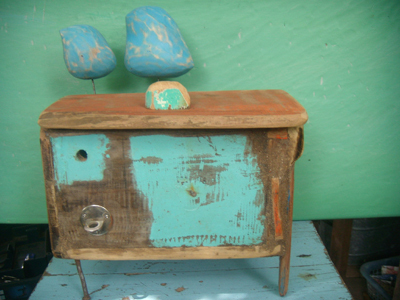 He also holds art workshops for children using collected items.